LG is preparing mass production via two of the lines at its E6 factory, which only recently emerged from testing itself, according to sources for the Korea Herald. The publication didn't say when the first deliveries might take place. Until now Samsung has been Apple's exclusive OLED supplier for iPhones, since no other company has had the capacity to support the demand. Samsung has been using OLED in its own phones for years, most notably in the Galaxy S and Note lines. Multiple reports have indicated that Apple was planning to tap LG, which also makes OLED screens for the Apple Watch. Apple has stringent quality demands for suppliers however, and LG has moreover had to build up its capacity to become a realistic option for iPhones. Samsung is likely to remain a primary supplier for some time. A report from July claimed LG's initial order would be 3 to 4 million panels, which if true would support just a fraction of the new iPhones Apple is expected to ship by the end of the year. Nevertheless LG could help alleviate constraints on the supply chain and keep the prices of iPhones in check. The 5.8-inch OLED panel on the iPhone X was believed to cost Apple about $110, making it the device's most expensive component and contributing to a $999 price tag. The iPhone XS, now in preorder, costs the same with a similarly-sized display, and to this the company has added the 6.5-inch XS Max, which starts at $1,099. Despite using a 6.1-inch screen, the LCD-based iPhone XR is $749. I’m holding on to my iPhone 7 until Apple has a 5G ready phone, which the iPhone Excess (X S) has not been reported to be. I'm guessing the LG screens will be used on certain models so there may be a way to take an educated guess. Historically, Apple has not been the first to put the latest cellular modems in their phones, instead waiting for more robust and energy efficient revisions. As a practical matter, half the time I don't have a great LTE signal, and when I have 4 bars of LTE it's more than fast enough for me, so 5G far down the list of concerns for me. As far as Samsung goes, I don't disagree with your assessment, but the bottom line is that they are one of the best manufacturers in the world for screens. With all the acrimony between them, dont' you think Apple would rather go some place else? The fact that they use Samsung as a supplier despite a bitter, decade-long lawsuit is telling. My main concern here is that while Samsung’s screens have very high quality, so far, LG’s phone screens have been just horrible. Truly horrible. While I don’t buy any Samsung products anymore, due to Samsung’s overall lawlessness, Apple is in a different position. In order to stay in business, they need to buy the components they need, no matter where they come from. so if LG has gotten their quality to the point where they rival that of Samsung, then fine. But right now, I’m still concerned that they may not. I'm doubting this entire post. Is there any secondary confirmation of this? This could just be a fake LG leak so they don't look like they are missing out on all the business again. I think I can live without 5G for a while longer. I'm more interested in who is supplying the modems? I thought there was a story that it wasn't INTEL and the Qualcomm CEO said not them. I'm not happy with the Intel modem in my ATT iphone 8Plus. Did Apple develop their own hardware since they knew they were doing the dual SIM? I have a iPhone 7plus and iphone 8 plus. I'm definitely interested in the Apple Xs but want to know more about the modem. There were many Android apologists last year who said the LG screens on the Pixel2XL were fine in their reviews but still complain about them a year later. They say its for the Camera that does machine learning on the pictures (often great but sometime bad). Seems like Samsung can do good hardware but bad software and Google can do good software but bad hardware. Apple gets both working together better but I'm happy they use the Samsung screens because Samsung spent years developing their OLED screen to be the best. Apple should always use the best hardware. All the reviews of the Pixel2 XL said that the screens were truly horrible, with images of them as proof. Apple invested billions into the project of making LG a viable second source, including state of the art manufacturing equipment. Apple has long been convinced that LG would be able to produce displays that meet/exceed Apple’s requirements. I’m thinking they know exactly what they can expect coming off the end of the production line. Yes, I agree that Apple knows what they’re doing. Maybe LG’s screens will even be better, given that the lines are newly set up. We shall see. Having a 2nd source for high quality OLED screens would benefit everybody (except Samsung.) Apple is typically a stickler for quality, so if this story is true, it hopefully means LG’s quality has now come up to snuff. 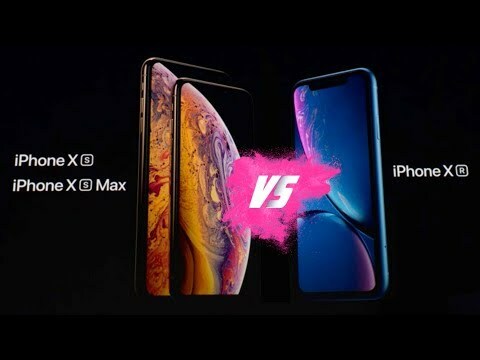 Let’s just keep in mind that Apple has sourced screens from two manufacturers for a product before, and the differences were so obvious that people would return their purchase and hope they got one with the other manufacturer’s screen. I hope that things will be under better control this time around.